BAM Ireland is the largest multinational construction business operating nationally with expertise and experience in the delivery of many of Ireland’s flagship infrastructural and building projects. Close Brothers help customers across Ireland to achieve a wide range of business objectives, from purchasing or refinancing capital equipment to improving cash flow and financing strategic events such as mergers and acquisitions. 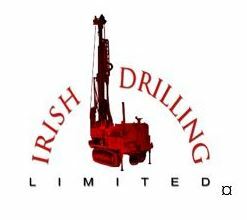 They are a TSX and London (AIM)-listed mineral exploration and development company that is focused on advancing its high-grade Curraghinalt Gold Project located in Northern Ireland, United Kingdom. At ECI JCB they offer a comprehensive range of JCB machines, they have been distributing the full range of JCB Construction, Agricultural, Industrial and Compaction ranges exclusively for over 33 years. Ecocem Next Generation Cement uses the best available technology to produce a specially formulated blend of traditional cement and Ecocem GGBS. It produces a whiter, brighter more durable cement that can withstand the toughest environments. Finning is the world’s largest Caterpillar dealer delivering unrivalled service for over 80 years. They sell, rent and provide parts and service for equipment and engines to customers in various industries. Gavin & Doherty Geosolutions Ltd. (GDG) is a specialist geotechnical engineering consultancy, providing innovative geotechnical solutions across a broad range of civil engineering sectors. IMEC offers multi-disciplinary services to provide turnkey solutions no matter the challenge. they are positioned to undertake works all over the globe, with offices in Australia and Europe. They have two production facilities; at Castlemungret, Co. Limerick and Platin, Co. Meath. Irish Cement Ltd is part of the CRH Group, a global leader in building materials. We are a Manufacturing company that is dedicated in designing and manufacturing state of the art Trommels and Apron Feeders. We’re based in Republic of Ireland and are committed to innovation and are always developing new products and solutions. For more than 90 years, Boliden has been exploring, extracting and processing base metals and precious metals. Our production is based on experience, innovation and modern technology, developed in collaboration with Nordic technology and engineering companies. Today, they are the industry leader in the Nordic region in terms of sustainable metal production from deposits to recycling used metals. Pat O’Donnell & Co, a family owned and operated business, is Ireland’s largest supplier of plant machinery and equipment. They represent the complete range of Volvo Construction Equipment both Heavy and Compact, Volvo Penta Marine & Industrial Engines, Rammer Hammers and Breakers, Avant Tool-Carriers, Sennebogen Material Handlers and Thwaites Site-Dumpers. QME Mining Division undertakes contract mining projects in Ireland and abroad. The mining division employs a team of highly experienced operations Managers, underground supervisors, miners, fitters and electricians. QME has carried out large and small scale underground development contracts since 2009. Roadstone is the leading manufacturer and supplier of building materials in Ireland. Since our foundation in 1949, Roadstone has been at the cutting edge of the construction industry in Ireland and our commitment to our core values remains steadfast. They are a friendly, value-driven producer of customised conveyor belts and rubber parts for global materials processing equipment manufacturers – from crushing, screening and recycling to road construction and environmental. Family run and privately owned, they’re a business that’s grown into a trusted brand, named by London Stock Exchange Group in 2014 as one of Britain’s most inspiring SMEs. ​​​​Founded in 1845, Geological Survey Ireland is the Republic of Ireland’s public earth science knowledge centre. They are a division of the Department of Communications, Climate Action and Environment. They are committed to providing free, open and accurate data and maps on Ireland’s subsurface to landowners, the public, industry, and all other stakeholders, within Ireland and internationally. By offering a complete range of products and accessories, IIE is able to provide the customer with the product that suits their specific needs. To enhance the service to the customer, IIE’s experienced Blasting Services Team provides professional advice on all aspects of blasting including Quarry Face Surveys, Rock Face Profiling, Vibration Monitoring and Analysis, Blast Design, Consultancy and Shotfiring. Plazamont Limited, Trading as Dan Morrissey & Co. is ran by the Morrissey family. The family has been synomonious with quality and quarrying in the southeast region for 3 generations. Dan Morrissey 1st started quarrying in Ballycrogue Co.Carlow in the 1930’s and the business has grown and developed exponentially since. Formed in 2000, SEM Construction established itself as a key contractor in the Irish Construction Industry. Due to a stable growth, the company has developed a strong reputation for providing a range of quality multidisciplinary engineering, construction and project management services to client’s organizations. Sandvik is a global company founded in 1862 by Göran Fredrik Göransson in Sandviken, Sweden. Constant equipment innovation and dedicated highly-skilled engineers ensure that CDE remains a world leader in wet processing and classification equipment for quarries, mines and recycling operations on the international market. The company has sold, installed and commissioned over 1,000 turnkey installations globally, including the largest wet processing plant in the world in the Middle East. The company’s unrivalled processing experience includes classification and beneficiation of minerals and value addition for quarried building materials and demolition waste. iCRAG, the Irish Centre for Research in Applied Geosciences, is Ireland’s national geoscience research centre supported by Science Foundation Ireland, the European Regional Development Fund and industry partners. Granco Ltd has been established over 30 years and is the sol distributor for Fruehauf Trailers & Bodies for N.Ireland & R.Ireland, an authorised Scania Service agent and the sol distributor for Alcolock products throughout Ireland. On site we have a modern fully equipped workshop with trained technicians specializing in HGV Trucks, Trailers, Industrial Marine, Bus and Coach. In 2014 Granco Ltd were delighted to be the first company in Northern Ireland to become an IRTE plus accredited workshop. With our hard working and customer focused teams we at Granco hope to continue building and pass on the results to our customers. Renowned for technical excellence, Golder is a leading, global employee-owned engineering and consulting firm with over a half century of successful service to its clients. 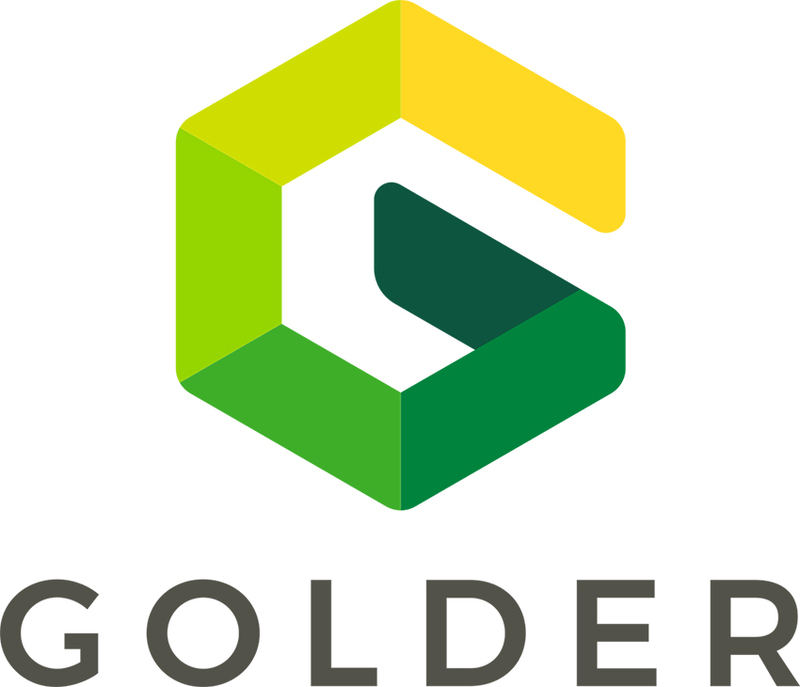 With over 165 offices in over 30 countries, Golder’s 6,500 professionals are driven by a passion to deliver results, offering unique specialized skills to address the ever-evolving challenges that earth, environment and energy present to clients across the infrastructure, mining, oil and gas, manufacturing and power sectors. Golder is not just a place to work, it is a promise of a living, dynamic environment where people collaborate, innovate, build enduring relationships, excel, and grow professionally in a strong culture of ownership. C&QEMS specialize in ready-mix management and automation, concrete batching and moisture measurement. Our experience also includes engineering and manufacturing of load cell weighing, scales and batching systems for all applications. “Equity Exploration Consultants Ltd. have served the Mineral Exploration Industry since 1987. With their team of talented geological exploration specialists they can easily scale in size and focus to meet your project requirements, putting your interests first to ensure an efficient use of your exploration investment. Their diverse clientele includes major producing miners, junior explorers, private companies and financial groups including private equity. Coshla Quarries Limited received full planning permission in 2007. In July 2007 works started to develop this green field site into an operational limestone quarry, October 2007 materials were being processed for the construction of the M6 motorway. In 2008 a concrete batching plant was erected. 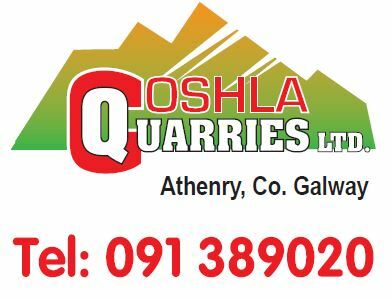 Coshla Quarries started supplying ready mix concrete to the Galway market in March 2009 once NSAI certification was awarded. Block manufacturing started in 2010. We currently supply blocks, concrete and crushed aggregates to the Galway market with NSAI certification to IS EN 771-3, EN 13242:2002 + A1 2007 and IS EN 206:2013. Lagan operates a number of ready-mixed concrete plants in the Republic of Ireland. We supply the highest quality material for a wide range of applications and specifications. Lagan supplies the residential, commercial and agricultural sectors with a variety of ready-mixed concrete products, all of which are produced using our quarried limestone. 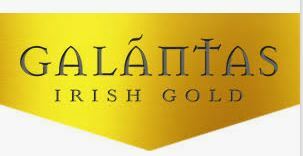 Galantas owns and recently operated a producing open pit gold mine near Omagh, County Tyrone, Northern Ireland. The mine also produces by-product silver and lead. Delaney Commercials Ltd is a leading player in the truck industry, having proudly acquired a main dealer franchise for Scania in 1976. Based in Naas Co Kildare we are in close proximity to the M7 motorway and Dublin. We offer the full range of services required at a busy dealership, whether it is for New or Used Trucks, Service & Repairs, DOE or Parts.